I almost cannot believe that I’m writing this post. It’s not to scaremonger. It’s hopefully to help. See, This Wall Street Journal article points out that potassium iodide retailers are inundated with calls (and running out of their stocks rapidly) on the fear that the Japan nuclear fallout will reach the west coast. I’ve also seen the insane eBay auctions where potassium iodide pills are selling for upwards of $1000 at this point. Last week, they were $8 for a pack of 14. Am I personally concerned about radiation reaching the United States? Maybe a little bit. But there are so many mitigating factors, and the news reports on whether these meltdowns will cause radiation to travel through the jet stream are very conflicting. But: Knowledge is power. And I’m no after-school special. I’m just saying, it is. Knowing what to do in confusing situations helps quell the fear. And I love you guys; I don’t want you to be afraid. And I want you to feel prepared, if you are. I’ve been researching nonstop for the last three days, and it had finally reached a point where I had to share all the information I was finding. All of a sudden, it seemed crazier not to share it than TO share it (and risk you guys thinking I was crazy). PLEASE REMEMBER: I am not a doctor or a health professional. NONE of these things should be used as your sole source of medical advice, nor should they be acted on without consulting your physician, if you deem it necessary. I’m just sharing what I found, so you’ll have the same information I have. If stores in your area are out of potassium iodide tablets don’t fret. Painting on iodine or betadine will provide a good bit of protection against radioactive iodine. While not as reliable as ingesting potassium iodide (and not as thoroughly scientifically studied), your body will absorb the iodine, which will then travel to and hopefully protect your thyroid. How to paint on iodine: Purchase a bottle of 2% tincture of iodine or Betadine at your local drugstore (you may have to ask for it at the pharmacy). Paint about 2 ml or so on your abdomen (a little less for children) and allow your skin to soak it in. Do this daily until the iodine remains a reddish-orange color on your skin (doesn’t fade). When it stops fading, it means your body has enough iodine. However, if you’re consistently exposed to radiation, you’ll want to keep painting on the iodine every day. DO NOT DRINK IODINE OR BETADINE. Neither of these things should ever be ingested. Also, avoid them if you have an allergy to iodine (which you most likely do if you’re allergic to shellfish). Now for the not-so-good news. The only thing potassium iodide and iodine does is protect your thyroid against radioactive iodine. That’s it. They fill up your thyroid and disallow the radioactive iodine to infiltrate and cause health problems and cancer down the road. So while it’s nice to have either potassium iodide or iodine, it’s not only radioactive iodine that’s potentially going to be floating through the jet stream. You might want to note some of the other things you can eat/supplement to help eliminate some of the radioactive exposure (IF IT HAPPENS). If you have a thyroid issue, there are some other confounding factors to consider about iodine as well. 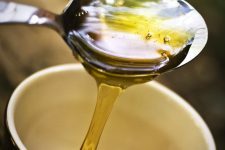 There are other natural ways you can get iodine into your system, and these ways also have detoxification properties, so you’ll get added benefit. And these things are: Basically anything that comes out of the ocean. Natural News reported that both blue-green algae and spirulina (in addition to containing iodine) helps rid the body of heavy metals – a concern in radiation exposure – and protects the body against cancer. All of the above, though, according to dozens of sources I’ve read, are excellent detoxifiers and good at reducing the level of heavy metals in the body. Where to Buy Them: You can purchase dried/powdered kelp, spirulina, and blue-green algae at most natural food stores. Mine happened to be out of kelp two days ago. (I put kelp and/or spirulina in the green smoothies I drink on a regular basis.) You can also order kelp and spirulina from Mountain Rose Herbs. They’re actually a lot cheaper there than what I pay at my local natural foods store. You might also be able to find any of the above (excepting shellfish) in liquid extract form, as well. One thing you can do, right now, to save a big bunch of cilantro is make a pesto out of it. There are a couple of recipes at the link, but this is my favorite pesto recipe EVER. It uses garlic and pumpkin seeds, which are two radically healthy ingredients, too. And delicious. Best part? Make a few batches of it and freeze the excess. It’ll keep for months and months in the freezer. In fact, this headline states Rosemary Found to Offer Best Protection Against Radiation Poisoning. That speaks loudly enough, don’t you think? In addition to eating the herb fresh or dried (and cooked into dishes), you can also find rosemary extract or tincture in just about any natural health food store. Both of these herbs are cited on the NIH.gov site (surprise!) as excellent protection and treatment for radiation. There are several other plants listed in this compilation of studies, but I didn’t want to overwhelm. Here’s the link to the studies if you want to read more. The actual name of the paper is: Radioprotective Potential of Plants and Herbs against the Effects of Ionizing Radiation. This plant has excellent detox abilities, in that it’s very effective at whisking away free radicals. But it’s also great for your liver and keeps it functioning properly, which is what you want in order to eliminate any toxins that might be in your body. You can pick fresh dandelion and eat them in salads, but if you’re concerned about radiation, this may not be the best option. (As the radioactive particles would have fallen on the plants, as well.) Check your natural health food store for dandelion root to make a tea with, dandelion tincture, or even dandelion greens in the produce section. 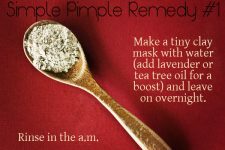 Not only can you bathe in this to help pull toxins from your skin. Bentonite clay, for example, is used by Russian nuclear workers (slathered on their skin) before working with nuclear material. However, you can use it internally, safely, in moderation to help pull out toxins and absorb radiation. Bentonite clay is used in traditional medicine for treating heavy metal poisoning. It’s been difficult to find any kind of recommendation on how much clay to take at a time, but I did find one commenter say she takes 1 tsp a day with good effect. One of the main ingredients in miso soup is kelp, but it also includes mushrooms (which have their own health benefits, as well). You can buy dried miso at stores like Whole Foods and snack on the soup for months. To be honest, this one’s a bit of conjecture on my part. But boron (which is in borax) is used for radiation shielding on an industrial level. If you’re particularly concerned about radiation entering through the skin, take a bath with 1/8 c. borax mixed in the water. It’s actually a fantastic skin softener, so you’re not hurting anything. Let yourself air dry, as to not wipe off all the borax. Here’s more about boron, borax, and radiation protection. It appears you can also take borax internally, but I’m a little wary on that one. Activated charcoal, taken internally, removes toxins and poisons from the body. In fact, it’s kept in nearly all emergency rooms at this point to help mitigate the effects of poisoning. According to WebMD, there is also some scientific evidence that it lowers cholesterol. Here’s more on how to take activated charcoal internally. I actually just bought a giant bag of activated charcoal last month, which I ordered from More Than Alive, but it’s also available at most natural food stores. Please note, activated charcoal and charcoal briquettes are two vastly different things. Please do not eat your barbecue charcoal. We’re exposed to radiation every day, via the sun. There’s really no escaping it. However, the vast majority of the information I’ve gathered above will help with that, too. One last thing that’s made me feel exceptionally good is having a decent water filter. If you have the extra cash, I really would recommend getting a Berkey. Not only do I feel secure knowing my water filter is very adept at cleaning out toxins and bacteria and the like, but I also picked up (for free) the fluoride filter for it. I ordered mine from More Than Alive (aff link), which had the best prices on Berkey filters I could find. Radiation Network comprises Geiger counter results from across the nation. You can monitor the latest radiation levels (currently, there doesn’t appear to be all that many stations) as they increase or decrease. Does Radiation Exposure Concern You? How are you feeling about everything that’s going on right now in Japan? Are you concerned about nuclear fallout reaching where you live? Do you have any detox and protective measures to add to this list? Any ideas are welcome! I’m not worried about being exposed to radiation from Japan since I live on the East Coast, BUT I also live in a city that doctors have said is having an “epidemic” of thyroid cancer because in a 90 mile radius from Philly there are 7 reactors. Yes. Seven. I only found this out last year and my first instinct was to flee – but my husband will not budge. We do eat a lot of seaweed, so that’s good to know that it is protecting us somewhat. Actually, it looks as if the links you provided are actually addressing a text message scare that spread through the Philippines a few days ago. It’s not surprising that the governments put these warnings out there, as to avoid a viral panic. And, reading between the lines of the Loyola paper, you can infer that treating radiation poisoning with Betadine is not the preferred method of treatment. Part of the problem of the hoax is that people are causing a run on Betadine, which is a surgical antiseptic that is really needed for that particular purpose. It isn’t the preferred method of treatment (which was clearly stated above), but if you don’t have access to potassium iodide, it’s an option. I wouldn’t call it a hoax, even remotely. The issue was panic, not Betadine as a possible option (even if it’s not “preferred” as a method of treatment). Wouldn’t you agree that, if a person found themselves in potential radioactive situation and had no access to potassium iodide, but Betadine in their bathroom cabinet, that it would be in their best interest to know that it’s an option? Bear Paws I’d be very interested in your mother’s recipe for black walnut tincture. I’m looking online and have found some information, but your recipe may be different/better so just asking. Is this a plain alcohol tincture? What part of the walnut did your mother use? Some botanical information talks about iodine in the leaves or in the walnut itself, but there are also entries for the unripe fruits and the hull. Any information you could share would be greatly appreciated! And thanks Crunchy Betty. Great post. Thanks Bear Paws! I’ve been doing some reading and mostly the small unripe fruits are mentioned for iodine. I have some I gathered and dried early summer after a storm. They’re about an inch across. Didn’t know why I needed them at the time. I’m going to try those and some green hulls as well. Here’s to white lightning! mmm she used the hulls from the walnut fixing to drop off the tree..she never used the ones on the ground..only the ones that would fall when she pushed on a limb.these she would take home ad hit with a hammer to split the hull and fill a large pickle jar with these hulls add alcohol and let sit for a week exactly…after which it was ready to her standards.. Thanks Bear Paws I made some another way last night I’ll try some your mother’s way next. I did learn how quickly those things go bad. I’m going to post about it tomorrow at my site. Please come by and comment so I can learn more! I couldn’t find you by clicking your name. Thanks so much. Kennel Kelp for pets-Its All In The Eye of The Beholder! Thanks for sharing! It’s something I have thought about. I hope it doesn’t become something that we have to deal with. The whole situation in Japan makes me completely sick. I’m so sorry for the people whose lives have changed so drastically because of this. I wonder how those people will ever feel safe again. It pains me to imagine how different their lives will now be. Thanks for the info. This is a great post. You rock! Thanks for sharing! I live in Oregon so I had a momentary freak out earlier… But on the plus side, I live within driving distance of Mountain Rose Herbs, so at least I can stock up on some stuff. I can’t even imagine what it’s like in Japan right now. This may sound awful, but it almost hits me harder than many recent disasters because it’s an industrialized country. I think we tend to loll ourselves into a sense of false security because we’re more advanced than countries like Haiti, so therefore these disasters won’t affect us as badly, right? But as this really drives home, being in an industrialized doesn’t make us any more immune to nature. It still almost doesn’t feel like reality though, it’s so horrible/sounds like a bad apocalypse movie. This is really informative stuff. Thanks for the info. I was informed by cardiologist that I have too much radiation in my body. I’m due for my annual mammogram and I’m bit nervous knowing I will be getting more radiation in my body. Aloha! Oxygen Therapy is one treatment for radiation poisoning but it is expensive and only works while being treated. One of the best ways to provide oxygen to your system is with hijama or cupping that extracts dead blood cells – sort of like flushing your radiator. Everyone should have hijama performed as a prevenatative measure before exposure to high levels of radiation. I found this very informative and helpful. I bought a book all about charcoal and how it can help but was still left in the dark as to what kind and how much. Your article makes me feel like I can handle this. Thank you for archiving the information and for making it understandable. Better safe then sorry especially for those of us who love little ones. Enjoyed reading everyone’s comments and knowing I am not the only one, wondering. I take borax at 1 tsp per litre of water internally, 1/4 tsp of said solution per day in beverages. I swear that I’m smarter because of it. I feel better. I’m 62 and it plus Lugol’s Iodine are my two main mineral supplements. Borax is also great in my bathwater. I use it in laundry, and the dishwasher. The smoking gun on boron’s (borax) and Iodine’s effectiveness is how the governments and corporations are constantly trying to limit our access to reasonable amounts of it. Nobody trusts them anymore…. and they are the ones most actively trying to demean boron through their controlled media and to reduce it’s availability to us peasants by regulations. We are waking up and they don’t like it! Thank God (Thank Go-o-dness) for the Internet! Betty, so sad to inform you; the kelp, ch seaweed, mushrooms, sunflower seeds, and other chelators you mention very likely have already absorbed dangerous amounts of radiation. I would tell people to avoid them without delay. Apples, I don’t know (sure hope not, I’ve been eating them!) But the others for sure. It’s a double-edged sword with those things, and too dangerous to gamble. If the mushrooms are grown indoors, probably it’s okay. But it’s good to avoid even foods with carageenan, which comes from seaweed. All this information about detoxing came from the time of Chernobyl, and was good then. Things have changed now. Fukushima has irremediably poisoned the Pacific, and there’s even signature isotopes found in the Atlantic now (not much, you might enjoy your Atlantic fish for now). It really depend on where you are, but you’d better be sourcing your medicinal foods from a very safe place if you expect them to help you and not damage you. All our food must be re-examined and sourced now. I understand you wrote this long ago, not trying to criticize, just update. Great article with wonderful and thoughtful entries and comments. I agree with Nick, the Pacific and areas near are so radiated that it is impossible to assume sea vegetables are radiation free. All food and likely water has been compromised at this point and I would not purchase any exported foods at this time. In Japan the workers at Fukushima receive Lyposperic Vitamin C intravenously, with Vitamin E, Selenium and alpha lipoic acid as preventative. There are dolphins dead on the shores of New Jersey and friends in Texas and Missouri have found high levels of radiation in their own gardens. The water table is next to be radiated. Please pray and send Love to all universal sources, regardless of religion or denomination, we need to raise the frequency of the planet. Pure Love heals all. Thanks! For the info! Yes let’s see a healthy vibrant planet earth with vital living creatures. Let’s breath clean air and feel the lively ground beneath our strong feet and clear skies above our heads. Let’s really see and feel this. Feel our healthful lungs breathing full breaths and our hearts full with powerful love. Love for ourselves our earth home and her inhabitants. Universal heartbeat of truth. We are capable of connecting to this truth and heal. It’s not widely publisised that if a person has had radioactive iodine injections to treat thyroid cancer the official advice is to keep several feet away from other people for the first few days as they will be exposed to the radiation. This is not easy to do, as even travelling home from hospital on the bus and sitting next to someone, or being driven home by car would affect others. The advice is even given not to sleep in the same bed as your husband or wife for the first few weeks. Where can I find information about dosage for activated charcoal. Is it safe for children? Generally, I try to buy only USA made products, but I buy a fair amount of fabric as I try to make the bulk of my clothing. I recently learned many fabrics are printed in Japan and China, so I’m concerned some of it may have come from there. I’ve sent emails to the fabric companies, but in the mean time I’m rather concerned. Someone in our home was recently cured of cancer. I want to take all the precautions to keep cancer-causing dangers out of our home. I did some research right after the triple melt down at Fukushima . I came up up with a similar protocol, with the addition of citrus pectin , sprouted mung beans or mung bean soup . Zeolite, cilantro all good for helping detox heavy metals , toxins radiation from our bodies . Thanks for the advise .